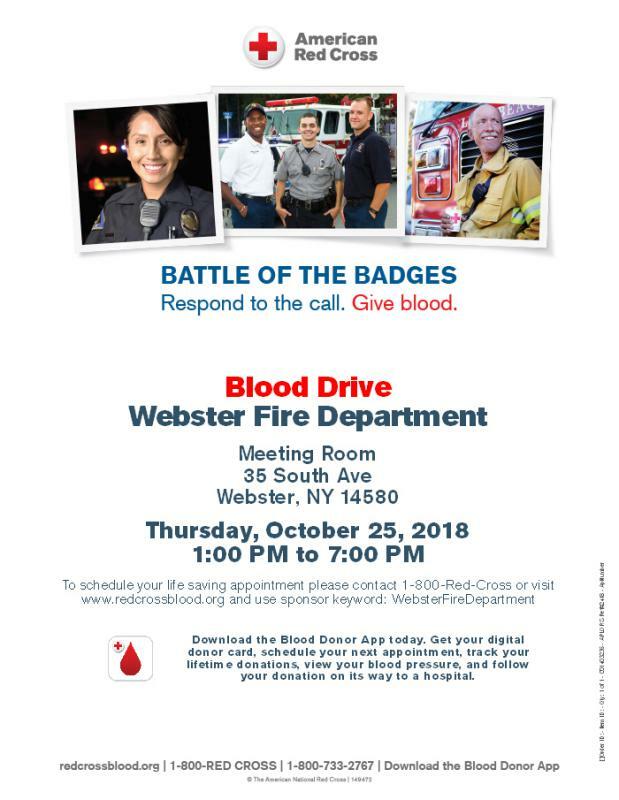 The North East Joint Fire District and Webster Volunteer Fire Department are hosting an American Red Cross Blood Drive at the Webster Fire Department's Enderlin Station. All blood types are in need and we are asking the public and all emergency responders to donate blood. Please, please, please consider donating blood at this important blood drive. All of the information you need to pre-register and/or make an appointment is outlined on the attached flyer. Each blood donation can save up to three lives!